Well that’s certainly an impatient fan! We’re all wondering the same thing, though. 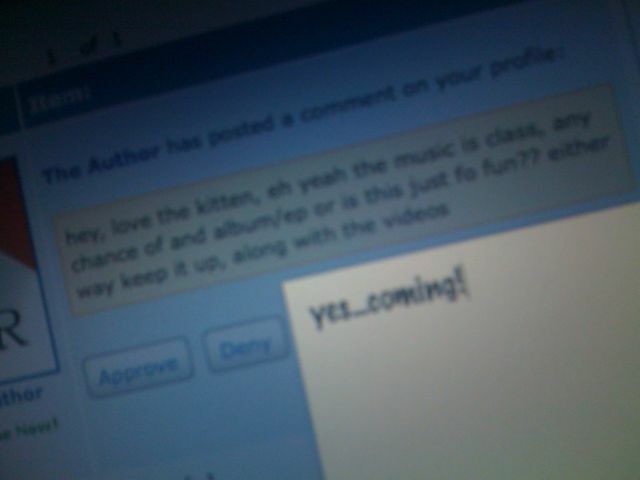 Glad to hear that your new stuff is “coming”, I just hope that it’s sooner rather than later. The samples on your MySpace really aren’t enough to keep us satisfied. People just need to be more patient. Can’t wait to hear what you’ll have to offer though!